Box 1-2 toned at 1641 hours sending the initial box assignment of Wagon 4, Squad 8, Towers 1,2, and Captain 2 (Lloyd) to N. 17th and Boas Streets for a reported structure fire. Tower 2 reported smoke in that area from their quarters uptown. 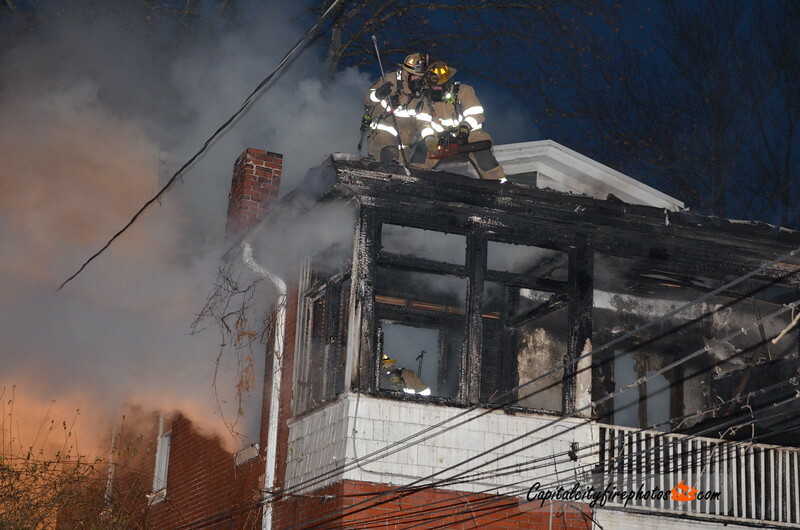 Captain 3 arrived on location to a 3 story duplex with heavy fire showing from the rear at 1713 Boas Street. Multiple lines were stretched into the fire building and the exposure. Wagon 4 had a bad hydrant in the rear and interior crews were reporting heavy fire on the second floor. 1st and 2nd alarms were requested in quick succession. An aggressive attack knocked down the bulk of the fire in about 10 minutes with extensive overhaul. A portion of the second alarm were diverted to empty city stations. No injuries were reported.